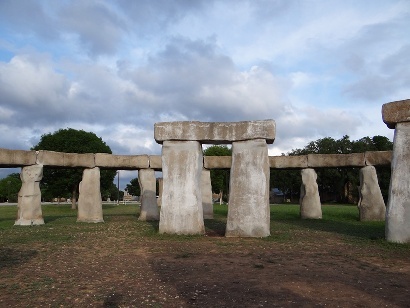 Stonehenge II is in Ingram, Texas at GPS N30 04.358 W099 14.870. Al Shepperd fathered Stonehenge II. His thinking probably started out to build a copy of the thousands of years old edifice in England - but it didn’t end up that way. You see the original was built over hundreds of years, which makes it have many “Fathers”. Here in Ingram (not England - the name is close but we get no cigar), the copy design began to change to meet the conditions. The whole idea was started when Doug Hill found a massive limestone rock on this land and stood it up on end. Al asked Doug to embellish this rock by building an arch behind it. Eventually Al asked Doug to search the land to find other building rocks to construct a TEXAN STONEHENGE. Doug found no suitable rocks. 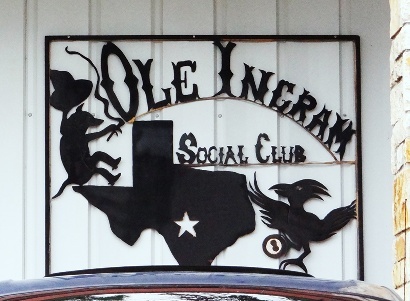 At the Ole Ingram Social Club the rock elicited jokes and comments among the locals for months. Al eventually became dissatisfied with the stone/arch creation and had it removed. The grandma barkeeper at this local “watering hole” would only need to see a patrons face to know their beverage and where they would sit. If you were one of the longtime regulars that sometimes sit at the BIG TABLE – she might also plant a toothless kiss on your lips. But I have digressed. Al and Doug decided they could make their own stones from re-bar and lathe covered with gunite concrete for their stonehenge. It may not have dawned on Al at the time but he had just created his legacy. The project design was now changed to accommodate what was necessary to begin construction. The new drawings concept was to capture the essence of the original monument, not the nuisances of the detail. Nine months later the construction was completed and accepted by Al Shepperd. People travel to THE STONEHENGE in the hope of discovering its meaning. Al Shepperd died without writing his reason for building STONEHENGE II. Most TEXANS are at least subliminally familiar with the TV show “Austin City Limits”. Beginning in 1977 and for the next 30 years the ACL’s theme song was London Homesick Blues/Home With The Armadillo written by Gary P. Nunn. It could be that Al Shepperd exercised his Texan’s trait of taking chances. 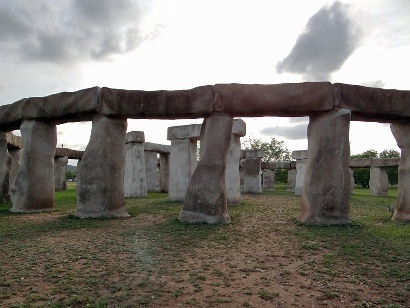 And I believe Gary P. Nunn’s song lyrics encouraged Al Shepperd to build his TEXAN STONEHENGE simply by taking his chances.